capability of repairing and testing all brands of Hydraulic Pumps. 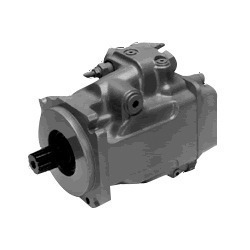 Our firm is betrothed in providing Kawasaki Hydraulic Motor Repair Services. Our experts complete these services with sophisticated technology and best quality component that is obtained from honest sellers of market. Due to high demand, our experts complete these services in varied terms that meet on customers demand. The ability to do large scale hydraulic work has been an asset for Sri Venkateswara Marine Services. 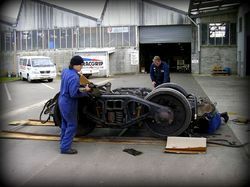 Work can, either been done in our facilities for smaller hydraulic motor repair. Rather than stop the vessel for repairs SVM is able to accommodate its clients' rigorous schedules, and do the repairs. re engaged in providing Hydraulic Motor Repairing Services to the customers. Our professionals are well-versed as they comprehend the requirements of the patrons accurately. These services are economically priced and delivered in recommended time frame. We are the major service & spares provider for mining, earthmoving, marine and construction machineries. We are import the spares from japen, usa, taiwan, singapore, italy, korea & dubai almost worldwide. With the help of our meticulous workforce, we provide an extensive range of Hydraulic Motor Repairing Services. We provide these services in accordance with international standards by making use of modern tools and technology. Ensuring maximum customer satisfaction, our services have been highly appreciated by our customer for their reliability, timely execution and client centric approach.